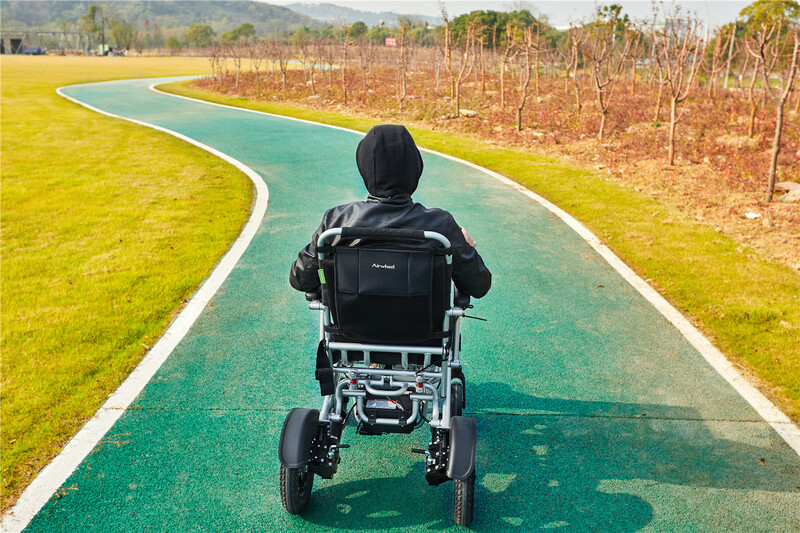 Abstract: Among the new arrivals, Airwheel H3S smart wheelchair is an intelligent companion for the old to appreciate the beauty of life and form an optimistic attitude towards life. Airwheel aims to be the best alternative transport available to everyone and keeps releasing new products. With the join of SR3 and H3S, there are eleven different series products in Airwheel, including unicycle X series, self-developed Q series, luxurious S series, innovative A series, humanized Z series, exhilarating M series and wearable C series, foldable E series, smart R series and new H series of smart power chair and SR3 self-driving luggage. H series is designed in such a way that anyone can ride them virtually in a matter of seconds, thanks to the four wheels and smart joystick controller, which provide incredible stability and extreme natural ride ability. 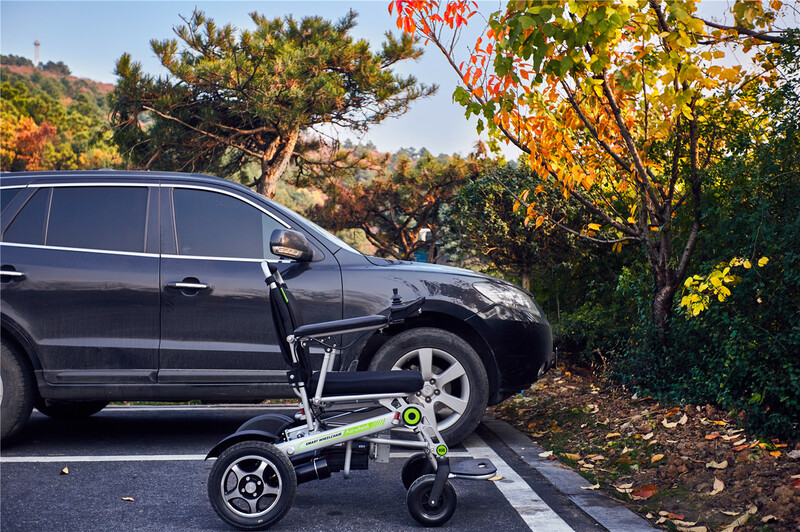 The ease of use is one of main draws of Airwheel H3S foldable electric wheelchair. Also, the four wheels mounted on Airwheel H3S are 8 inch (front wheels) and 12.5 inch (rear wheels), which make sure its brilliant traffic ability on various road conditions. Unlike the traditional wheelchairs, H3S's retractable armrests make dinning and getting on/off easy and safe. Moreover, it has automatic folding system attracting riders' attention most as it brings much convenience. Airwheel H3S has multi-pose controlling system and it can be controlled in totally two different ways, sit-to-ride and stand-to-ride. Riders are able to enjoy the convenience of its adjustable pedal, which can be comfortably regulated for people of any height, providing the most comfortable position. The Airwheel H3S smart electric wheelchair is a top of the line product that features many user-friendly accessories, high-capacity storage bag and high-end mini table. Moreover, its headlights illuminate the road ahead of riders to make path safe. H3S's mobile app not only shows the real-time data, but also allows riders to control it remotely and three remote control ways are available. In a word, Airwheel makes the old people appreciate the beautiful life and forms an optimistic attitude with the aid of H3S power and manual wheelchair. If you feel down sometimes, then sit on Airwheel H3S to have a ride. Choose H3S on Amazon https://www.amazon.co.uk/dp/B0776MCR8G.